accountsfor the anticoagulant effect of Tinzaparin. the widest variety of Tinzaparin preparations. 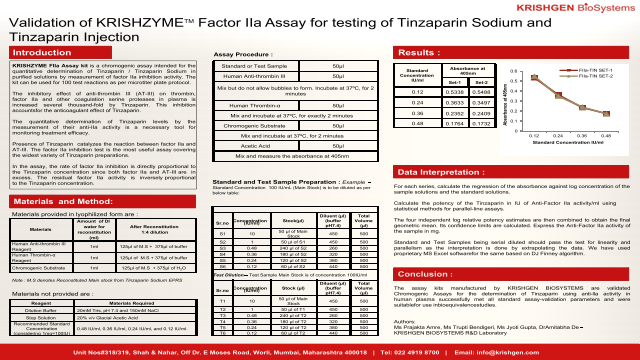 The assay was validated using Tinzaparin Sodium EPRS.